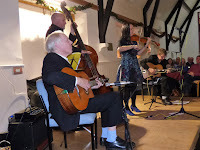 bebop spoken here: Hot Club du Nord @ St. Cuthbert’s Parish Hall, Crook, - Nov. 30. 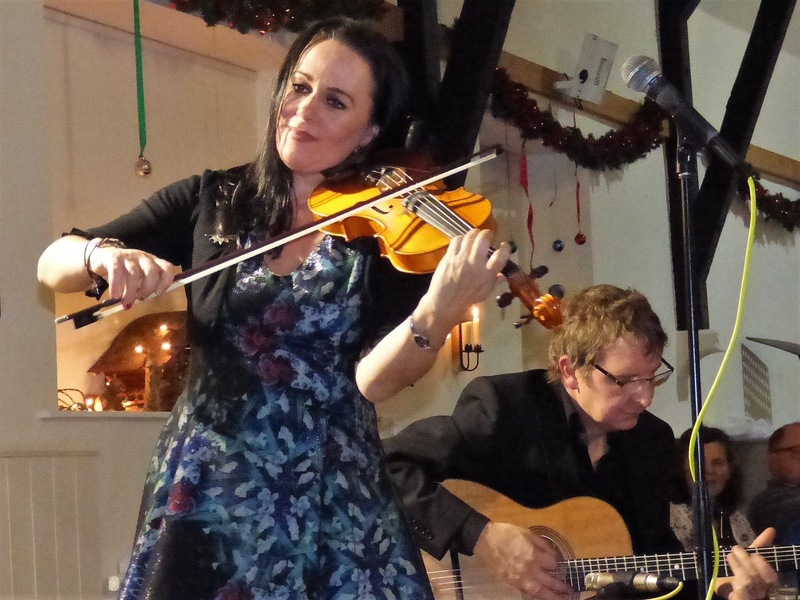 Hot Club du Nord @ St. Cuthbert’s Parish Hall, Crook, - Nov. 30. 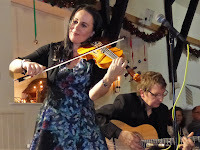 Emma Fisk (violin); James Birkett, Dave Harris (guitars); Bruce Rollo (bass). Most of Crook was there. And tossing her jet-black hair. And so were Emma’s toes! Or his later hit, Belleville. 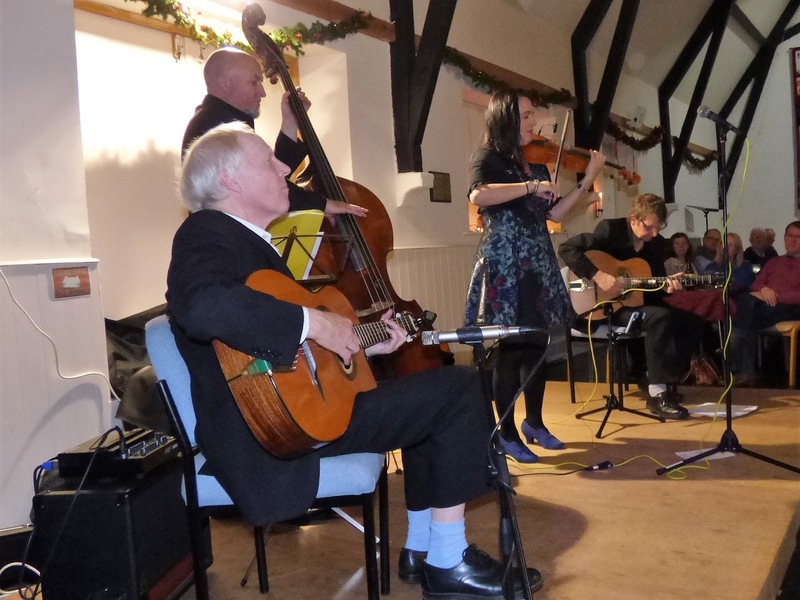 And wowed us with his bass. Si Tu Savais and J’attendrai. Where we heard a nightingale sing. When he knows who’s on next year. God bless them, one and all!